In this July 23, 2012, file photo, containers of Chobani yogurt are shown at the Chobani yogurt bar in the Soho neighborhood of New York. Chobani is suing right-wing radio host Alex Jones, accusing the conspiracy theorist of publishing false information about the company. Chobani filed the lawsuit Monday, April 24, 2017. The founder and CEO of Chobani has no regrets about moving his Greek yogurt company to south-central Idaho, a region embroiled in the national debate over refugee resettlement that spread to company boycotts by far-right bloggers and conspiracy theorists. "I hear the conversations here and there, but it's a peaceful community that we all love," said Hamdi Ulukaya, a Turkish immigrant. "It's the home of Chobani." Ulukaya spoke to The Associated Press before a Thursday announcement of a $20 million expansion of the company's facility in the city of Twin Falls — the world's largest yogurt plant — to serve as its global research and development center tackling how yogurt is made and consumed. It's a project Ulukaya says he's been planning for several years. As to what innovations the company plans for the 70,000-square-foot facility, Ulukaya isn't sharing yet. He said the focus will be on offering natural and non-synthetic products. The project follows a series of expansion efforts by Chobani since opening its Idaho plant in 2012. The $450 million, 1 million-square-foot plant is the company's second after Ulukaya started Chobani in New York. The company employs 2,000 workers, including 300 refugees. However, Chobani's time in Idaho also has taken a darker turn as anti-immigrant advocates have seized on the company's open stance on refugees. Fringe websites have falsely claimed that Ulukaya wanted to "drown the United States in Muslims." Other websites, like Breitbart News, falsely attempted to link Chobani's hiring of refugees to an uptick in tuberculosis cases in Idaho. Ulukaya declined to comment on the Jones lawsuit but said the rise in anti-refugee sentiment has never delayed a project he wanted to pursue. And he says he is committed to being a welcoming company. "Don't leave anyone out," he said. "At Chobani, we believe in second chances." During Thursday's expansion launch, Idaho Gov. C.L. "Butch" Otter praised Chobani's impact on the community. 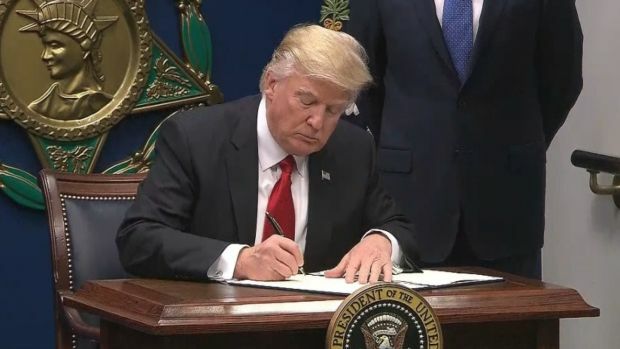 President Donald Trump's revised travel ban, a tightening of already-tough visa rules affecting citizens and refugees from six Muslim-majority countries, will go into effect Thursday evening. The ACLU is criticizing the Trump administration for pushing on with the ban, citing the chaos that erupted in airports nationwide the first time the ban went into effect. "This new investment in Twin Falls reflects Chobani's commitment to Idaho and to the people who have responded so positively to its corporate citizenship," Otter said in a prepared statement. "Congratulations to all those who are contributing to Chobani's growth, just as Chobani is contributing to ours." Strong economic growth in south-central Idaho — an agriculture-dominant area dubbed the Magic Valley — led Ulukaya to describe the region as the "Silicon Valley of food," pointing to the wide range of food manufacturing plants that have invested in food science since Chobani moved to the state. "It's an ecosystem generated for food making," he said. "There's now a general knowledge around food science that wasn't there 10 years ago." 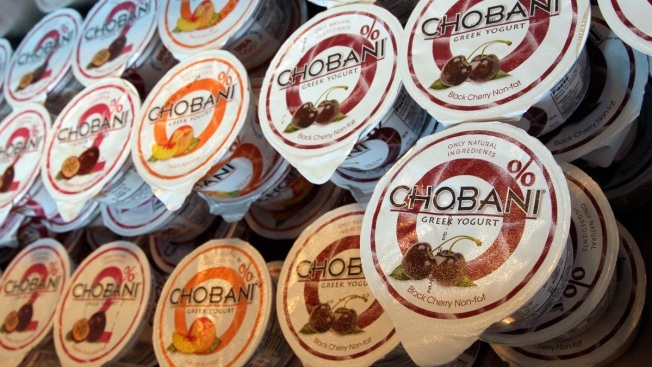 The boon extends to Chobani's Idaho workers, who earn an average of $15 an hour, more than twice the minimum wage of $7.25. The company's new facility will be open for employees to enjoy, featuring sweeping windows to overlook the rural farm landscape and Sawtooth Mountains, complete with an exercise room, kitchen and visitors center.